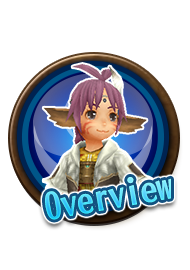 "Toram Online" End License User Agreement End User License Agreement. ASOBIMO, Inc. ("ASOBIMO") owns and operates "Toram Online" ("Application", "Service"). Please read the terms and conditions of this End User License Agreement ("EULA") before using the Application. This EULA will be applied to ALL contents including in-game items ("Items"), or Orb ("In-game Currency", "In-game Currencies") for this Service. By using the Application you are agreeing to be bound by the terms and conditions of this EULA. "Any third parties that use your registered account for this Application will also be applied to agreeing to be bound by the terms and conditions of this EULA. The Application will be supported only if it is the application downloaded from the Google Play Store." "This EULA will be applied to related websites or Application that send or display notices, terms, or rules about this Service. IF YOU DO NOT AGREE TO THESE TERMS, THEN YOU HAVE NO RIGHT TO ACCESS OR USE OUR SERVICES OR CONTENTS (INCLUDING OUR WEBSITES)." 1.2. Your failure to comply with the restrictions and limitations listed below and elsewhere in this EULA shall result in immediate (without notice), automatic termination of the license granted. Registration cancellations, invalidations, or expirations are not limited to the following. 1.5. An ASOBIMO Account is required to use the service.Also, the ASOBIMO account has to be active to keep using the service. 2.1.1. 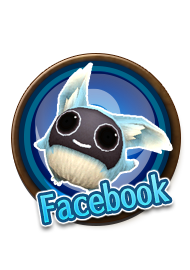 Members will charge Orbs (In-Game Currencies) to their own Account from the prescribed methods and will be able to acquire individual contents (Such as items) from this Service by consuming the charged Orbs. 2.1.2. There are "Unpaid Orbs" that are provided free of charge to members, and "Paid Orbs" where members can charge their account by purchasing according to the prices listed. 2.1.3. Members will receive the amount of Paid Orbs according to the prices listed and will be charged to your Members Account by purchasing. 2.1.4. 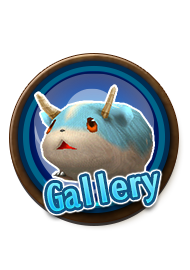 Members will acquire individual contents by consuming the required Orbs to acquire the individual contents. 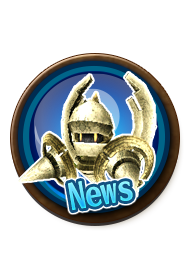 When the specified amount of Orbs are certified within the amount of Orbs owned, the consuming Orbs will be deducted from your Members Account and the balance will be updated. Members cannot cancel the consumed Orbs or have Refunds to the acquired individual contents, excluding cases provided by law or by ASOBIMO. 2.1.5. Members possessing both the Paid and Unpaid Orbs, the Unpaid Orbs will be consumed before the Paid Orbs. Each Orb will be consumed in the order from the oldest time and date acquired. 2.1.6. Orbs are to be only for the owned Account, and you cannot give, lend, sell, change names of the Orbs to another Account. Even if you own multiple Accounts, you cannot combine the Orbs from other Members Accounts. 2.1.7. Members can check the Orbs balance, purchase history, and usage history at any time from the history page delivered from ASOBIMO. ASOBIMO will only update the history page and make no other notifications excluding cases provided in our policy. 2.1.8. Orbs are Services incidental to the Members Account, and you cannot unregister only the Orbs Service. 2.1.9. There is no expiration date for Orbs, however, Paid Orbs will be changed automatically into in-game contents (such as items) which ASOBIMO will specify according to the balance of the Paid Orbs upon reaching the 180 days from the date acquired. 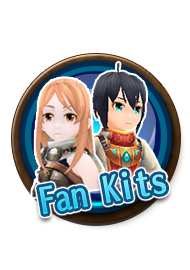 When acquiring the desired item, members should use the Paid Orbs within 180 Days to acquire the applicable item. Exploit personal information of other users or third parties." Sell, trade or buy virtual currencies or items for items with or from other online games." We are not liable for any trouble between users. 20.1. ASOBIMO may change, delete, and renew the EULA at anytime without notice or liability. 20.2. Your continued use of the Application will mean that you acknowledge the recent terms and conditions of this EULA.